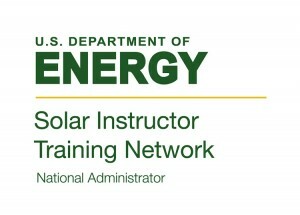 Thanks, again, to the New York State Energy Research and Development Authority (NYSERDA) for their generous support of the National Clean Energy Workforce Education Conference, this the fifth since 2006. The Interstate Renewable Energy Council, Inc., has proudly been the conference organizer since 2006. We also thank the Department of Energy for their support.